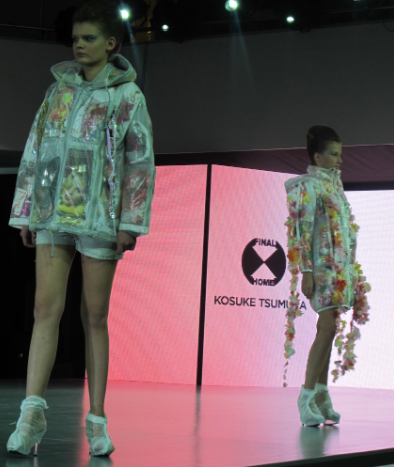 Koksuke Tsumura’s Final Home showed his collection with a runway show at Style.Uz Art Week 2013. 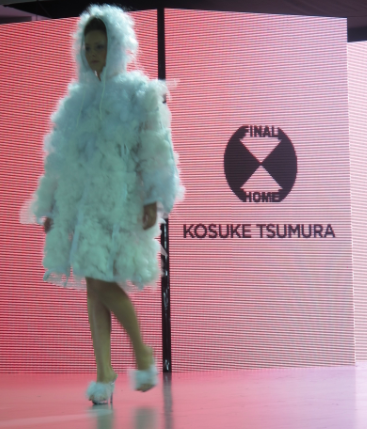 Kosuke Tsumura is an acclaimed Japanese fashion designer, who in 1994 created the survival brand Final Home. 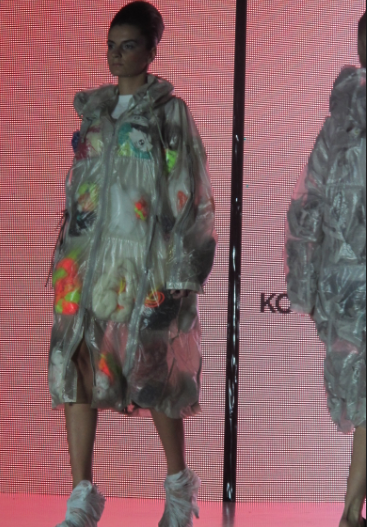 Its concept is “Survival – Protection – Function – Recycle”. The creativity of the Final Home also resides in their ability to use a wide variety of materials from filters to air conditions to ‘akasuri’ (a cloth used to scrub oneself in a bath). 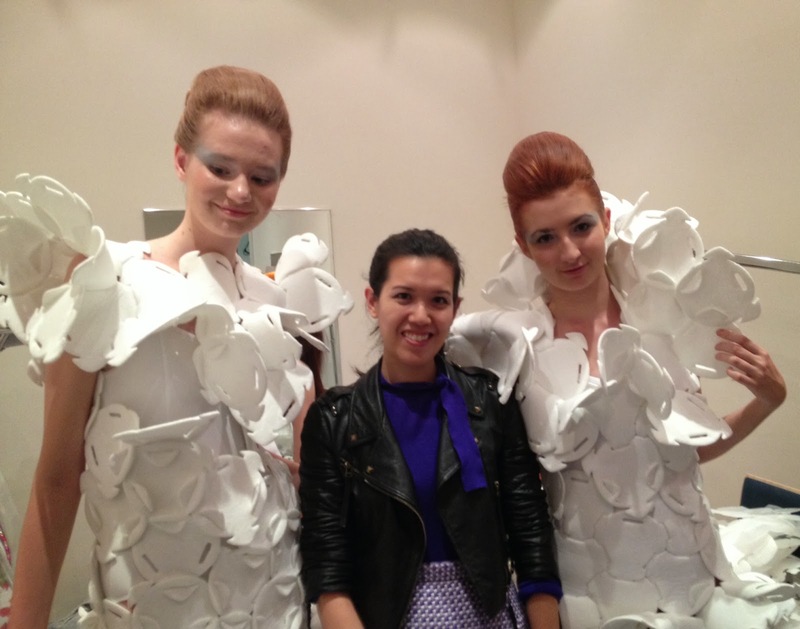 The brand also designs other products such as sofas made form cardboard or candles made of chocolate. 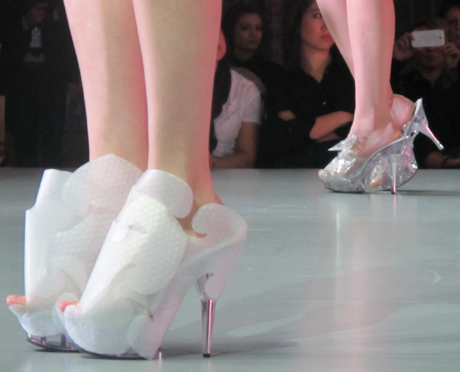 I spoke to Mr. Tsumura backstage about his inspiration, which he said was the future and materials. He said that people used to think that natural materials were primitive, but now new chemical and manmade materials are considered primitive. 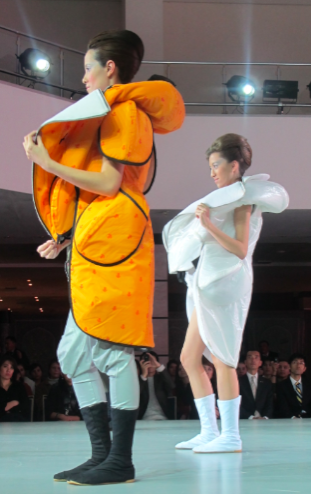 Tsumura considers his designs as art and not fashion. Final Home’s jackets are multi-purpose and utilitarian. When its pockets are stuffed with newspapers, they protect the wearer from the bitter cold. 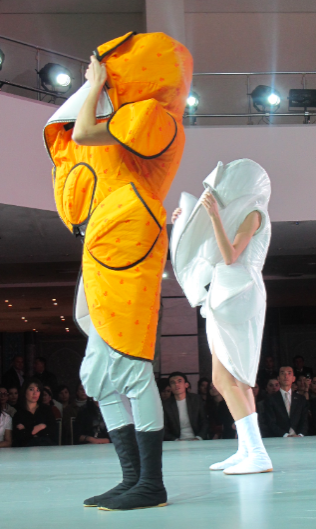 When filled with emergency goods, it becomes an evacuation jacket.